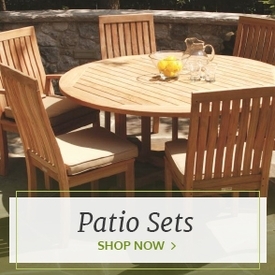 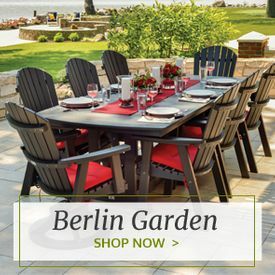 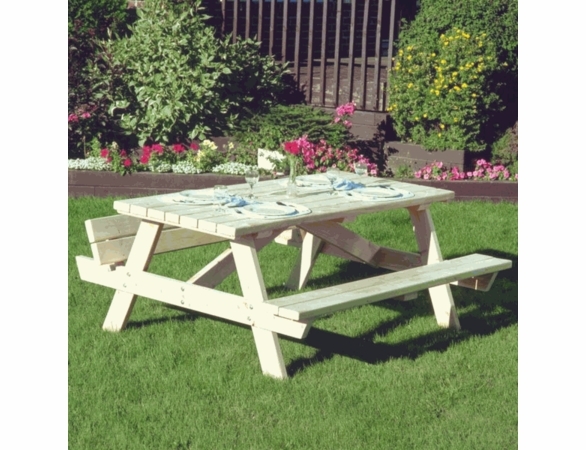 You can’t go wrong with the beloved look of a traditional picnic table in your backyard, and Outdoor Furniture Plus offers this 68” Classic Log Picnic Table that is perfect for just about any outdoor space. 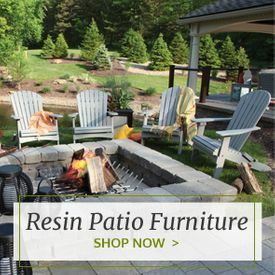 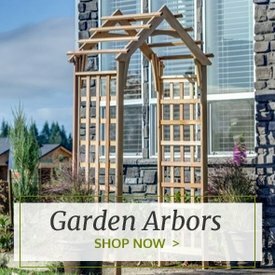 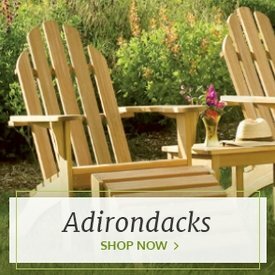 It is made of genuine white cedar for maximum beauty, durability and weather resistance, and it has an all-natural, unstained look so that you can customize it with stains or paints if you so choose. 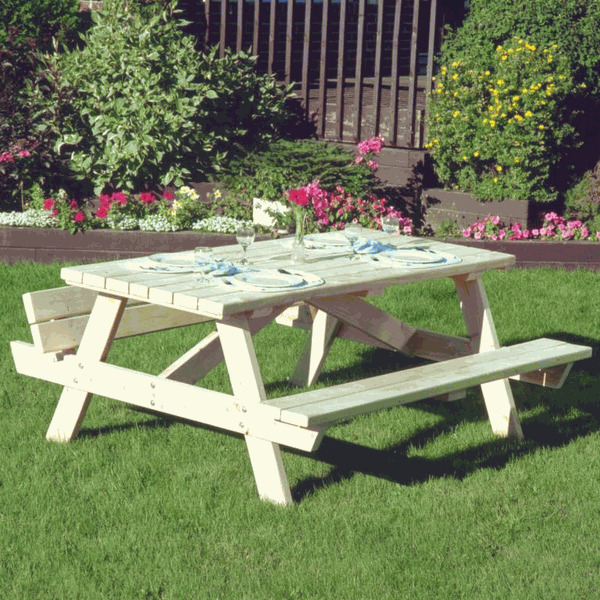 And the seats flip up for more compact storage and ease of mowing.